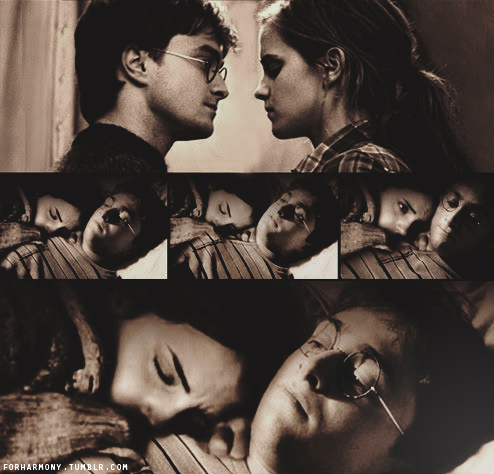 Harry et Hermione. . Wallpaper and background images in the Harry et Hermione club tagged: harmony harry potter hermione granger hermione and harry daniel radcliffe emma watson couple. This Harry et Hermione fan art might contain mitaani, mji eneo la tukio, mijini mazingira, jiji eneo, mijini kuweka, gazeti, karatasi, magazine, tabloid, rag, jarida, tabloidi, and limemalizwa. and are they really laying together?